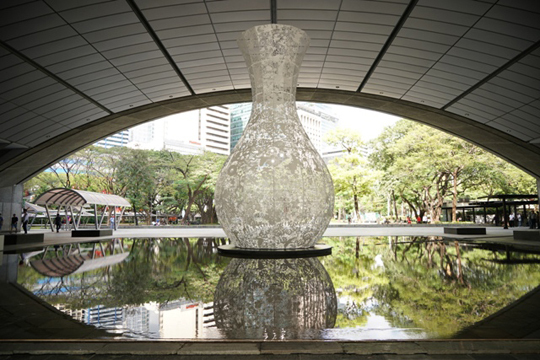 Ayala Land brings art to the streets of Makati’s central business district. On display at the fountain area of Tower One and Exchange Plaza from Feb. 22 to March 13 is Japanese artist Shinji Ohmaki’s Gravity and Grace, capturing the imagination of enthusiasts through the manipulation of iron, LED lights, and stainless sheets. 'Plastics in Our Oceans' at The Landmark bridgeway. Ohmaki has established his reputation through the vibrant play of space and materials, blending his practice with characteristic design on architectural setting. 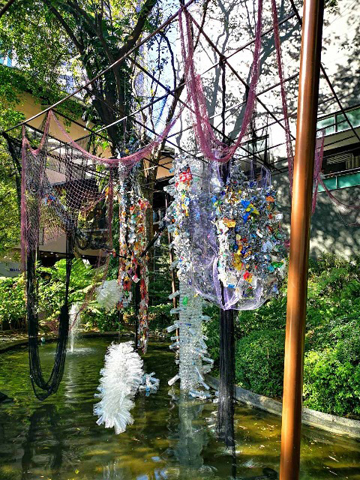 'Plastics in Our Oceans' at the Greenbelt pond. 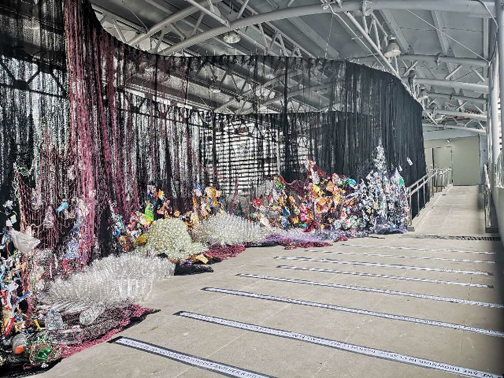 As a call to attention for the preservation of the seas, Olivia D’Aboville and Neal Oshima have also collaborated on an awe-inspiring mixed media installation entitled Plastics in Our Oceans, which tackles human’s abuse of plastic. One version of this art piece can be found at the Greenbelt pond behind Ayala Museum and another at the newly constructed bridgeway connecting The Landmark to The Link Carpark. 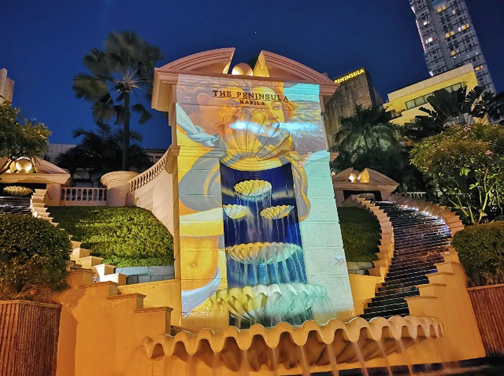 The Manila Peninsula’s iconic waterfalls along Ayala Avenue is the stage for the Birth of Venus, an animated light projection of the famed classic painting of the goddess of beauty by Manila-based projection designer GA Fallarme together with Dutch light projection artist Henk-Gert Lenten and freelance 3D motion designer Gedrick Roldan.